Meet Ozzy Autsch Davies, a 3-ish year old rescue pup. 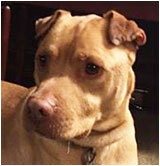 Owner Deb says Ozzy loves to play fetch but is not particularily fond of mail trucks. When young Ozzy gets a bit more acclimated to his new home maybe he can join mom at the Book Cellar. We hope you had a wonderful Holiday season. Now we look forward to an exciting year ahead. New businesses will be coming into Downtown, new restaurants will open and the sun will keep shining on our quaint little town. Before we know it, it will be summer again and it’s not too early to start thinking about the Street Faire. If you’re interested in participating this year there are plenty of opportunities, from volunteering, sponsorship packages or setting up a booth. Potential sponsors, for as little as $1000 you can have a logoed 8 ft. barricade banner and a website ad on the Street Faire site throughout the season. It’s a great way to expose your business online and to over 5000 people every Friday night while supporting this popular community event. Check out our website for all the details. AND DON’T FORGET – Many of our local retailers are having sales this month to get rid of Holiday inventory. Now’s your chance to find the bargains! MaryLynn Gillaspie Photography and Creative Framing Art Gallery are extending their family portrait offer until Jan. 30. For $325, you can have a beautiful family portrait and framed print. This is a $600 value! Call now to schedule a photoshoot, (303) 447-3730. The Hot Jazz House Concert series kicks off again on Saturday, January 24 at 7:00 p.m. at the photography studio. Check the website for band information. Award-winning artist Jill Soukup will do a demo at the art center. The event is free and open to the public. Here’s a way to kickstart that resolution to eat more healthfully. Nutrition therapy can help you get motivated and reach your goals. The Center is offering two 1-hour nutrition coaching sessions for only $120 (a savings of $40!) Appointment includes expert analysis of your past and present symptoms with blood work and test result review to help identify the root of your challenges. This offer applies to new clients only and expires March 31. Contact Jen Marshall, LWC’s certified nutrition therapist, for more information at Jen@bebalancedhealing.com, (720) 352-8769 or visit www.louisvillewellcenter.com. 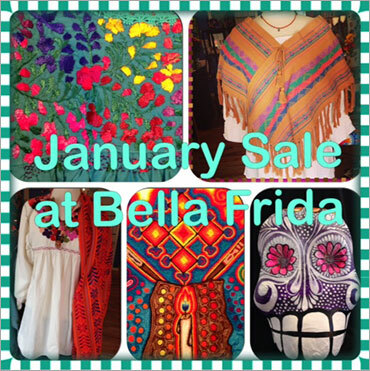 The sale begins on Friday, January 9. Major markdowns on everything in the store from clothing to jewelry to art. Holiday Tea continues to January 4th. The tea includes holiday themed pastries and treats and a small thank you gift bag. Teas are $18.95 per guest ($10.95 for children under 10). 24 hour advance reservations are required as everything is baked fresh the morning of your tea. The Huck will offer a 3 course prix fixe menu at $29 per guest with a glass of sparkling wine. Limited regular menu will also be available. For reservations contact info@thehuckleberry.com or call us at 303-666-8020. Zucca will offer a 4-course prix fixe menu at $49 per guest including a glass of Prosecco. For reservations contact info@zuccalouisville.com or call us at 303-666-6499. Learn how to recognize birds of prey, or raptors – hawks, eagles, falcons, and owls – in the winter skies above Boulder County. 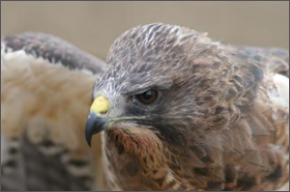 During this slide presentation, you’ll observe and learn how to distinguish between different raptors by identifying common field marks. You will also learn about the habitat requirements, behavior, and ecology of these magnificent birds. Presented by Parks & Open Space. 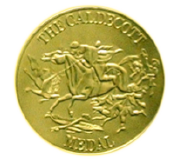 Participants will have a chance to vote on the book they think will win the Caldecott Medal this year. Every week participants will read books together and vote on their favorites. At the end everyone will vote on what the Louisville Public Library choice is for the best picture book of the year! For grades 1-5, no registration required. Bob Carr, lifelong coin collector will share his knowledge for his work in a rare coin shop. 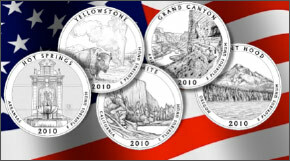 Learn the history of the state quarters program, collectible value of state quarters, error coins to watch for and the future mint quarter designs.